Another Christadelphian decides that Genesis is NOT literal! Yet another Christadelphian has joined the growing band of brothers who have thrown in the towel and accepted the bleeding obvious that Genesis is NOT literal. http://bibleq.info/answer/5240/ "Did it rain before the flood?" The question is about as crazy as asking "Did they have nuclear weapons before the flood? 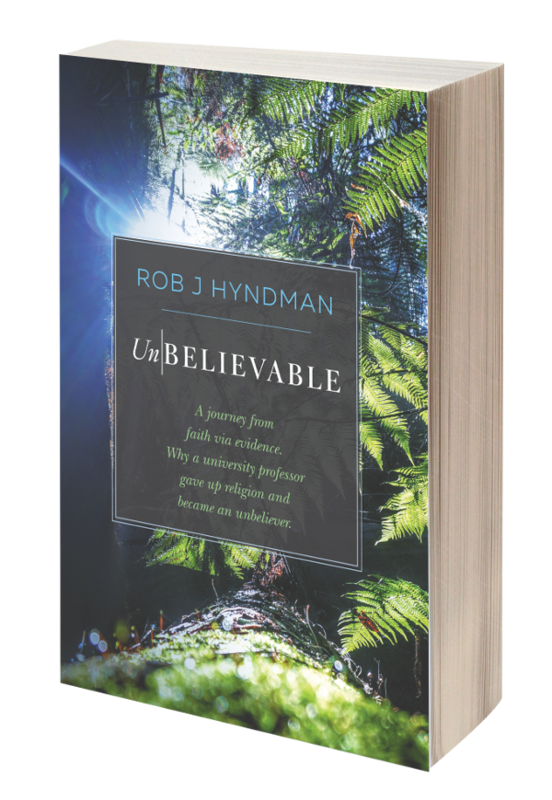 ", but our hero Christadelphian "Russell" gives the right answer: "There are several indications in the text that the passage is not a literal historical account..... Of course it is possible to force answers to all these objections to a literal reading. However the natural reading of the text is to interpret this passage other than literally." Yeah, I know the feeling. You have a beer with your evening meal, speak your mind on the Internet and then five seconds after pressing "SUBMIT" you think to yourself "What have I done? How can I undo that?" It's too late Russell. You are now a "dangerous radical" in the eyes of your Christadelphian brethren. If I open my window I can hear their cries of "Heretic" and "Withdraw from him" rising across Melbourne. At the return of Christ you will be given the divine thumbs down and shunted off in a cattle truck with us Ex-Christadelphians to an angelic death camp. It was good of your brethren at Berea to offer encouragement, but in their hearts they know that in Christadelphia, from now onwards, you are a dead man walking. Your Ex-Christadelphian brethren and sisters have read your brave post and we are all shouting "Go Russell GO!" as you do our work for us and sock it to those in your own fellowship. We did the same thing when it dawned on Ken Russell that God can't control the weather. http://berea-portal.com/forums/index.php?showtopic=1174 It's good of you lads to do our work for us and take the lead in dismantling the Christadelphian religion. "He that is not against us is for us" we think to ourselves, as we watch you burn down the mission. OK Russell, so you failed to score a perfect score of six, by adding that rather lame bit at the end "An implied prediction of the coming of Jesus Christ (Gen 3:15)." But that's OK, we will overlook that. We Ex-Christadelphians all had to start somewhere and you chose a great place to start. Push over the first Genesis domino and you will find that the others will fall quicker than you could ever imagine. 1. The early part of Genesis is not literal. (You got that right). 2. That means that the talking snake story also has to go. (You already said that in your post). 3. That means that Adam was not the first Homo Sapien. (Something else that's blindingly obvious). 4. That means no sin. 5. That means no need for salvation. 6. That means the Bible was written by a Canaanite tribe and not by a supernatural being. 7. That means you need to send your letter of resignation to your ecclesia. That nauseating "Not a profile I enjoy, but unfortunately necessary" feeling that you have in the pit of your stomach is called "Cognitive Dissonance." It's the cerebral equivalent of a Canadian logger attempting to maintain a footing on two floating logs that are traveling in entirely different directions. You have applied the Scientific Method to early Genesis, done the splits and it hurts. Now you realize that to stop yourself falling in the river you will need to abandon either Genesis or the Scientific Method. You know that the Genesis log is rotten so that's the one to go. But that means goodbye to all the Christadelphian mumbo-jumbo and your social life. Only you can make the decision. The mathematical term for what is about to happen inside your head is "bifurcation." Knock over one thing and that clobbers two more; they flatten four which causes another eight to collapse; then sixteen, thirty two, sixty four. Soon you lose count of how many bits of your faith are spinning off in all directions. The next thing you know your mind passes over the Event Horizon and the velocity of your unbelief accelerates to hyper speed. By then you're really flying and it feels good. Free of the Christadelphian cult baggage your mind readjusts to the real World and the whole thing starts to make perfect sense. Finally you wake up to the fact that you can live a moral life without trying to follow the less awful parts of the Bible. You realize that admirable morality lies within the human cognizance and conscience. You see that the God of the Bible offers nothing to humanity other than buckets of blood. I'm not asking any of you bright Christadelphians to join us, because there is nothing to join. "Ex-Christadelphian" defines something that you are not, not something that you become. "Free" is the word that really defines us. Free of the cult. We just want you to wake up to a different World where you can allow The Scientific Method free reign in your minds without forever having to screw the data to fit the Scriptural conclusion. Yeah, yeah, yeah; "That's not what we are doing" I hear you say, all affronted. We've heard it all before. When you awake from your cult-trance you will be as eager as us to spread the wonderful message of freedom to your brethren and sisters who remained trapped. You have made a great start by setting fire to the first pages of your Bible and if you keep thinking about it (which you will) the flames will reach to the last chapter of Revelation - and you will be free. Albert Einstein reportedly said, "I regard all religion as superstition made incarnate." That sums things up nicely, I think. Christadelphians sacrifice the life they have in this world -- or in any event, they live stunted, hobbled lives -- because Jesus is always a coming next Tuesday. I would need to write an encyclopedia set to describe some of the misery I've witnessed because of that thinking.